God is a God of covenants not a God of contracts. Contracts are sealed with a signature and there are legal ways to break them. A covenant is established by God, sealed with blood and unbreakable. The Adamic Covenant gave us the heart of God and His desire for us to walk with Him in the cool of the day. He gave us a perfect place and perfect intimacy with Him. The Covenant with Noah is a Covenant of hope for all of us. In the rainbow we see the sign that God has not given up on us and never will. At the end, if we do not make it, it will not be because of Him, but it will indeed be our choice to go to hell. God destroyed everything, but a pair of all unclean animals and seven pairs of the clean animals. He repopulated the earth with Noah, his wife, his three sons and their wives. With eight people God gave us a new beginning. The Ark represented what the church is for humanity today. It was a messy Ark, just as the church is a messy church today, but just as the ark was the only hope for life when the rain of God’s judgment came down; the church will be the only one rejoicing as the bride goes to embrace her husband. The Covenant with Abraham is the start of a new nation, the nation chosen by God for Him to reveal Himself to the world. With Abraham we saw a peculiar people, the carriers of God’s blessings to the world. Israel is the center of the world! The faithfulness of God is seen clearly through the unfaithfulness of his own people; nevertheless Israel will shine like never before. Israel will overcome, Israel will turn to God and the names of the 12 tribes will be displayed when the New Jerusalem come down from the heavens. The Covenant with Moses gave us the law, the heart of God in written words, the only acceptable way of the Lord and His holy standards. With Moses we saw the will of God for His people, His precious holiness and His righteous ways. The Covenant with David was the promise that God’s Kingdom is to be established forever. Out of the seed of David came the King of kings and the Lord of lords in the flesh…our Lord Jesus Christ. With David we saw that the Tabernacle was no longer closed with walls, but it was meant for everyone to see as a prophetic announcement that God ‘s will is for everyone to be saved. The New Covenant gave us a better covenant and the promise that God will indeed write the laws that He gave to Moses in the hearts of those that embrace His son. The New Covenant is filled with grace and with truth through Jesus Christ. 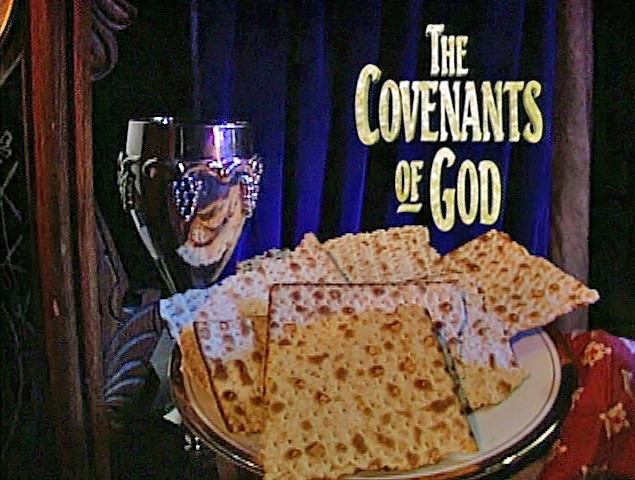 The New Covenant is indeed the last covenant sealed not with the blood of animals, but with the blood of our Eternal King. Jesus shed His blood, died a horrible death on the cross in Calvary, but on the third day he roused again. Today, if we repent of our sins and call Him into our hearts He will save us. This is God’s love story for us!